Chennai: The Securities and Exchange Board of India (Sebi) will issue final guidelines on newly-proposed real estate investment trusts and infrastructure investment trusts, as also revised norms for ESOPs by listed companies in coming weeks, Chairman U K Sinha said on Thursday. Sebi has already announced draft regulations for REITs and InVITs, for which the government also proposed tax benefits during the union budget earlier this month. Besides, Sebi's board recently approved certain changes in ESOP (employee stock option) norms. "You might have seen that in the current budget an announcement has been made about Real Estate Investment Trust. I am hopeful that sometime next month, SEBI will be coming out with (final) guidelines. My feeling is that these guidelines are going to help the growth of real estate industry," Mr Sinha said in his address at the 178th AGM of Madras Chamber of Commerce in Chennai. He also said there is scope for aligning Sebi's corporate governance guidelines with that of the new companies law. The Companies Act, 2013, many of whose provisions came into force in April this year, has strict norms to ensure good corporate governance practices in the country. "There are some areas where there is scope of aligning the guidelines on corporate governance and the Companies Act (2013)," Mr Sinha said, while citing the example of independent directors' tenure, among others. 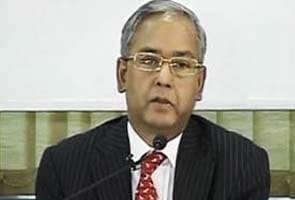 Apart from REITs, Mr Sinha said Sebi would also issue guidelines for the Infrastructure Investment Trusts (InVITs). "We are also going to come out with guidelines for infrastructure investment trusts. My feeling is that sometime next month, SEBI is going to announce that," he said. Sebi in 2012 had barred employee welfare schemes and trusts of listed entities from purchasing their own shares from the secondary market. To a query on the guidelines for ESOP, he said, "But, we are going to release that ban to an extent that they can buy if they want to give ESOPs to their employees." "Our earlier impression was this (share buying by welfare schemes and trusts) being used to manipulate and stabilise the share price and not actually to give it back to the employees. Now, we are going to allow them to buy, not the sale part," he said. "ESOP guidelines may be out in next 15 days. It is in fairly advanced stage," he later told reporters. Commenting about the proposal to implement self-regulatory organisation (SRO), he said, "The SRO matter has gone in to a legal battle and the matter is right now in the Securities Appellate Tribunal." "Some people have challenged the process of selection. Only if there is final decision, can we discuss about it."